Skiing is my passion! I have dreamed of making this my life since I was a small kid. What a privilege to be able to do what I love every day and pass on the passion to others! I first started working as a ski instructor in the winter 2015/16 where I worked in Niseko, Japan, and skied the most amazing off-piste powder you can imagine. Afterward, I went to Australia for a southern hemisphere winter where I joined the ski instructor team in Thredbo. Can you imagine kangaroos on the slopes? During the winter 2016/17 Champoluc, Italy, was my home and I tried a new role as destination Rep for a Scandinavian travel company called Slopetrotter, and during the month of July, I worked in France at a kid’s ski race camp. 2017 was my first season as part of the New Generation team and I enjoyed working in St. Anton. I’m a certified professional ski instructor (DAPSI) which means I can teach all levels of skiers, both on and off the slopes. Relax, have fun and enjoy your time. (And not just when you are on your holiday). 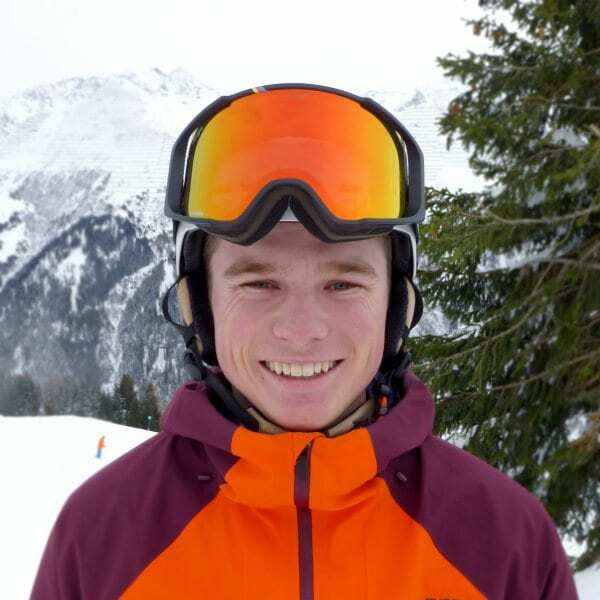 Fancy a private lesson with Frederick on your next holiday?